Background Info: Located in the Merrimac neighborhood in Westfield, this mid-90s home was the perfect place for the homeowners to raise their family. Although the home hadn’t had many updates, it still functioned well for the homeowners, with the exception of the basement. The challenge for this project was space planning to create a new finished basement. 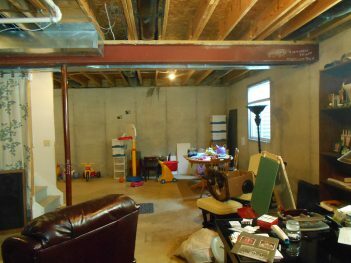 The unfinished basement space was mostly used for storage and kid’s recreation. The family was missing storage and needed a good layout that created separate areas that met the current and future needs. The goal of this basement finish was to create a functional floorplan that allowed for entertainment, relaxation and recreation. Designing a floorplan that worked for the homeowner was the first step in this large transformation. An entertainment area, office space, bedroom and full bathroom were incorporated into the final design. 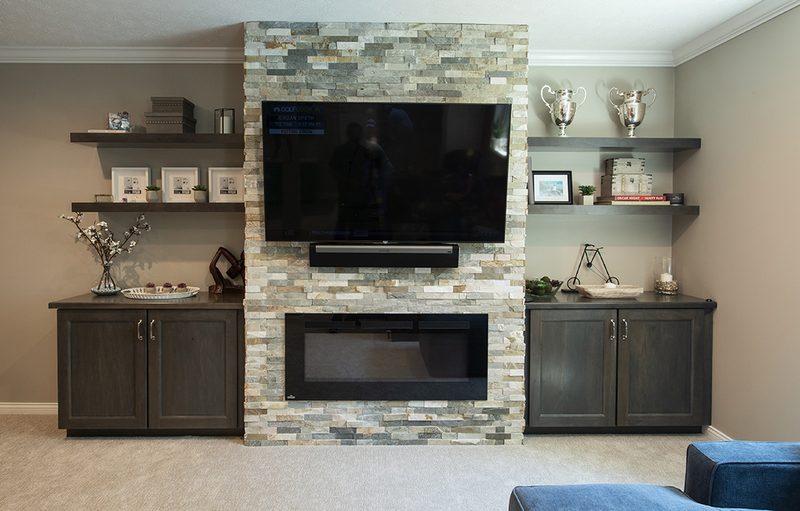 In the entertainment area, a stacked stone gas fireplace and built-in cabinetry and shelving were added. 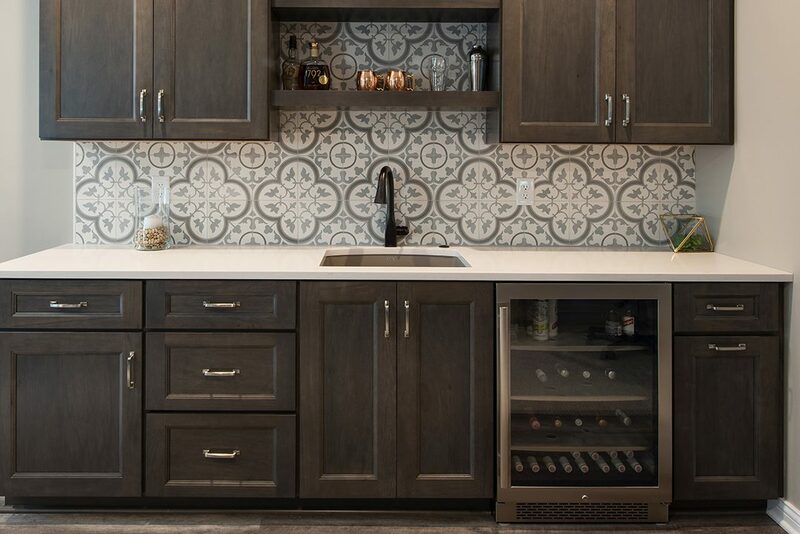 The entertainment area also included a wet bar, finished with new cabinetry and a cement tile backsplash, making it a perfect place to host guests. A home office was created and designed to be easily separated from the rest of the basement with a sliding barn door. 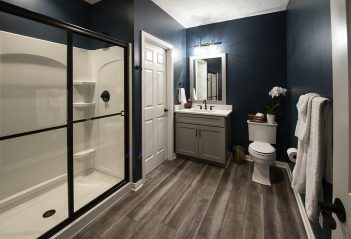 An extra bedroom and full bathroom were added to the basement for guests.